Peter Graves is an American film and television actor whose works include seventy films, TV series and TV movies. Graves is the younger brother of Gunsmoke star James Arness, and worked as a musician and radio actor before entering films with 1950’s Rogue River. Peter Graves was born Peter Aurness in Minneapolis, Minnesota, to mother Ruth (née Duesler), a journalist, and father Rolf Cirkler Aurness, a Norwegian business man. His brother is actor James Arness. Graves attended Southwest High School and graduated in 1944. He was further educated at University of Minnesota, where he was a member of Phi Kappa Psi fraternity. Graves has been married to Joan Endress since 1950. They have three daughters: Kelly, Claudia and Amanda. They have six grandchildren. Night of the Hunter in 1955. Since his role in Stalag 17 Grave’s film career seemed destined for failure until he signed on in 1955 for a network children’s series starring as Jim Newton in Fury. The series ran five years and made Graves a wealthy man through rerun residuals. In 1960 Graves landed the lead role in the television series Whiplash; he remained for thirty-four episodes before starring in Court Martial five years later as well as TV shows like Alfred Hitchcock Presents and Route 66. In 1967 Graves became the lead actor on Mission: Impossible where he stayed for the remaining six seasons. After the series ended in 1973, Graves a support role in feature film Sidecar Racers which was released in 1975. Graves also made a guest appearance in teen soap opera Class of ’74 in mid-1974, playing himself. In 1988, a Hollywood writers’ strike resulted in a new Mission: Impossible series being rehashed. Graves was the only original cast member to stay with the new series; the others made guest appearances throughout. The series was filmed in Australia, and Graves made his third journey there for acting work. The new version of Mission: Impossible lasted for two seasons, ending in 1990. 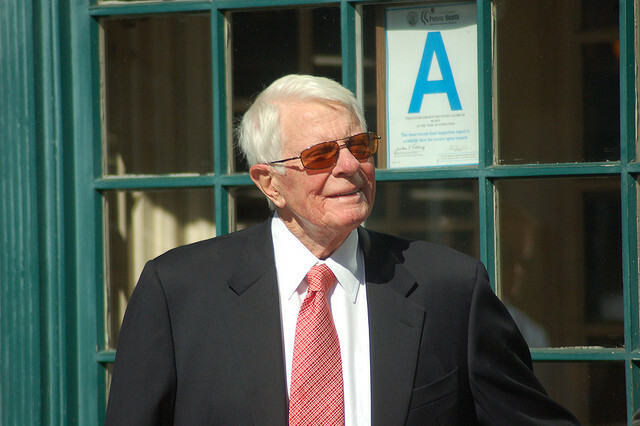 Graves starred in two pilot films called Call to Danger, which were an attempt to create a Mission: Impossible-style series in which Graves played a government. The 1960s version of the pilot, according to Patrick White in The Complete Mission: Impossible Dossier, is credited with winning Graves the role of Phelps; after Mission: Impossible ended in 1973, Graves filmed a second version of the pilot, but it did not sell as a series. The concept was later used in the 1980s adventure series Masquerade. During the 1990s, he hosted the documentary series Biography on A&E. He also acted in a number of films featured on Mystery Science Theater 3000, The films that have been featured on Mystery Science Theater 3000 include SST: Death Flight, It Conquered the World, Beginning of the End, Parts: The Clonus Horror, and Killers from Space.